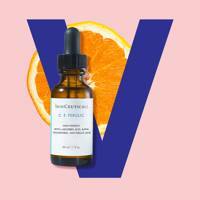 Know your acids from your serums. Attention! Skincare school is officially in session. 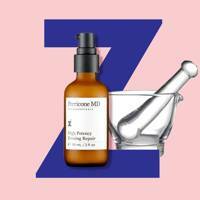 We know you've heard about acids, retinol, serums and inflammation. 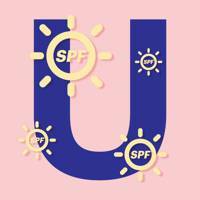 But do you know your UVA from your UVB? Or your microneedling from your microdermabrasion? We know you always want to know more. What do expiry dates on beauty products really mean? 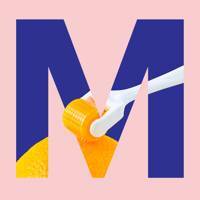 What can probiotics do for your skin? 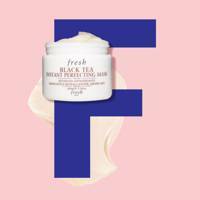 Is fermented REALLY a good thing when it comes to your skincare? 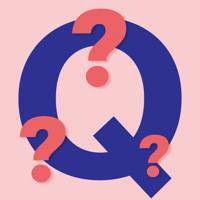 Ponder no more, dear reader, because we're here to answer every beauty quandary you've ever had. 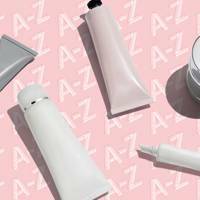 It's time to brush up on your skincare savvy with GLAMOUR's A-Z glossary guide on the terms you need to know to get you to glowing, healthy skin. 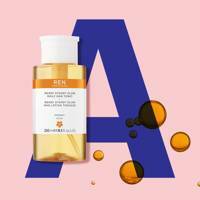 Acids may sound scary but used correctly, they can be a skin's best friend. Often derived from fruit, they can exfoliate better than the scrubbiest of scrubs, and give you the clear, beaming skin of your dreams by removing dead skin cells, unclogging pores and increasing cell turnover. Look for AHAs (glycolic, lactic and citric acids), for sun-damaged or dry skin, BHAs (such as salicylic) for oilier skin and enlarged pores, and PHAs (polyhydroxy), which are milder, for sensitive skin. 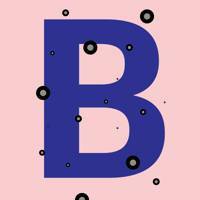 These pesky, unstoppable, selfie-ruining black marks aren't actually spots, but clogged pores. Sebum (oil) and dead skin cells in the pores oxidise, giving the dark colour of blackheads. "Environmental pollution, especially when living in city, can be the main cause," says skincare expert, Teresa Tarmey. Exfoliate skin regularly to keep blackheads at bay. 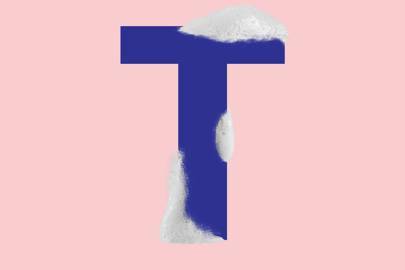 "My favourite way to treat them is with a mild retinol," says Tarmey. "It keeps clears away anything that will block the pore." 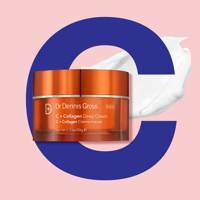 We hear a lot about collagen when it comes to skincare... but what actually is it? 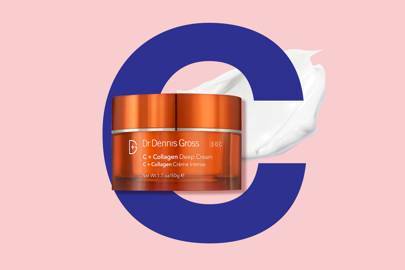 Collagen is a protein that's found in the connective tissue and bones. It gives skin strength and durability and makes it resistant to stretching. As we age, our collagen production decreases, causing thinning of the skin, which leads to lines and wrinkles. 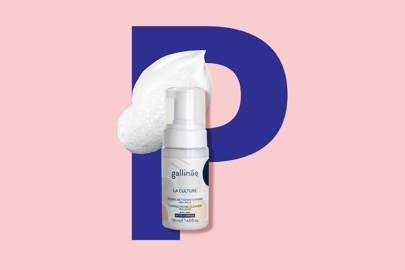 You can stimulate collagen production by eating foods rich in amino acids and opting for skincare products containing vitamin C.
[link url="http://www.glamourmagazine.co.uk/gallery/what-is-double-cleansing"] Double cleansing is the skin pro's secret weapon and it's simple: using a two-step regime to remove makeup and grime from your face and neck in the evening. The first cleanse (using a micellar water or deep cleansing oil) is to melt your makeup (and/or SPF). Essentially, it's dealing with what's on your skin, not the skin itself. 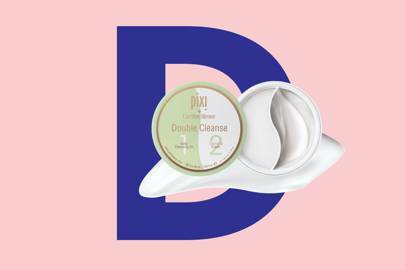 "The job of the second cleanse is to make sure your skin is clean, balanced and comfortable," says skin supremo and double cleanse advocate, Caroline Hirons. Use the good stuff, the balmy stuff, the silkiest oil, the flannel, the hot cloth, the massage techniques, the kitchen bloody sink! When it comes to investing in expensive skincare products and miracle cures, it's easy to justify their cost by thinking they'll last you forever. The truth is: they won't. Industry standard is a 30-month shelf life when unopened and comes with a best before date. 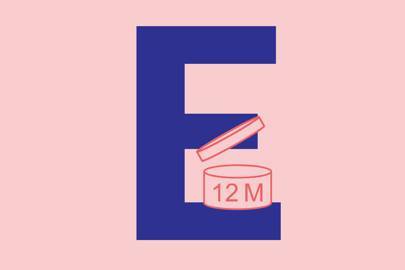 Products with a shorter shelf-life, such as natural products with no preservatives, carry a 6M or 12M logo. Learn to look out for these symbols and take notice of them, to prevent your skincare turning toxic. Facialist says: “An expiry date ensures that you are always using your products when they are at their freshest and most potent. 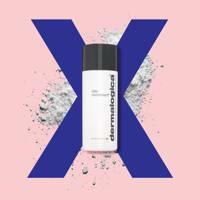 Products will degrade at different rates depending on how its packaged for example, light and air sensitive potent active ingredients should be packaged in airless pumps.” Get the lowdown on beauty product expiry dates. Simply take a spoonful of sauerkraut, and a smidge of kimchi, mush in some miso and - hey presto - a fermented face mask! OK maybe not, but the truth's not a million miles away. 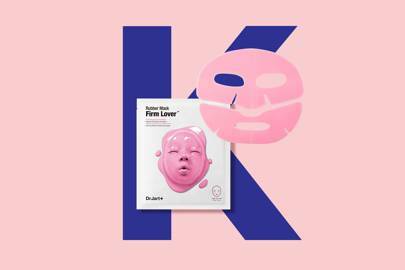 Brought to us by those clever Koreans (also see 'K-Beauty' below), the idea is fermenting formulas can boost them by breaking down the molecular structure of some ingredients, so they can be better absorbed into the skin. The process also creates lovely antioxidant-filled by-products. Easier to stomach than you thought, yes? 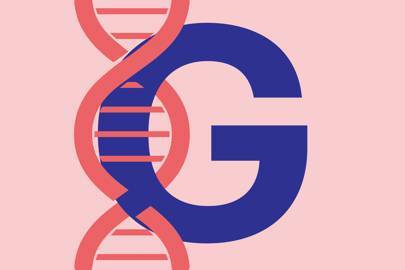 With research showing that up to 60% of our skin ageing could be down to our inherited DNA - thanks, mum - there's a slew of new skincare companies now using saliva samples to prescribe a specific treatment plan for you. Try facialist Kate Kerr or brands like Geneu or Pure Genetic Lifestyle for a fully personalised regime. 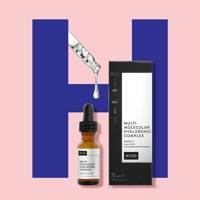 Naturally-occurring in the body, hyaluronic acid is the stuff you should thank for hydrated, glowing skin. 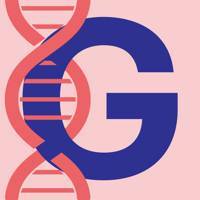 A single molecule of it can hold 1,000 times its weight in water. It keeps things cushioned and plumped but, like collagen, naturally depletes over time. Serums containing the stuff can seriously quench parched skin, also helping to smooth away fine lines. Otherwise known as ‘dermatitis’. And the beauty truth – you will have experienced it at some point. Itchy patches after using a new product? Flushed skin after a Vindaloo? Spots after a big weekend? Sun burn? 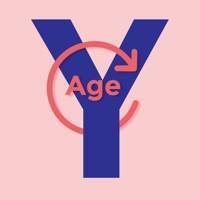 These are all variations of inflammation and it can accelerate the ageing process. Confusingly, though, it can be a good thing, as post-treatment (laser or peel, for example) it prompts the healing process and skin renewal. Either way, you’ll want to counteract with a restorative product. Look for soothing, anti-inflammatory ingredients such as calendula, chamomile and green tea or products that offer calming or redness relief’. An easy way to give your skin a daily boost, start every day with a fresh fruit or vegetable juice. Berries are packed with antioxidants, while citrus fruits are packed with vitamin C, which slows down the skin's ageing process. 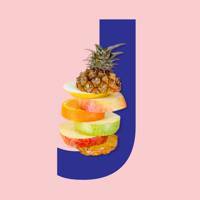 A new generation of juices, powders, shots and supplements will feed goodness into your body, and therefore your skin. Look for products with pre and probiotics, collagen-boosting vitamins, and anti-oxidant properties. 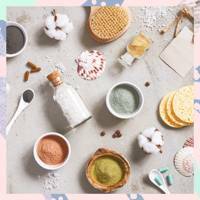 We're very thankful to the Koreans for their inventive, effective and often adorably packaged beauty products (there's a reason Selfridges have a whole section dedicated to it), but we do have a bone to pick with them: the exhaustive 10-step regime of K-Beauty. Yep, 10 steps, that make your usual 'cleanse, tone and moisturise' look like child's play. Our method is just to pick and switch between their brilliant masks, emulsions and essences. Try Tony Moly, Neogen and Dr Jart for starters. Noticed creasing around the eyes and frown lines when you're not frowning? Thanks to environmental damage, our hectic lifestyles and the slowing of collagen production, these signs of ageing are eventually inevitable, but easily delay-able. 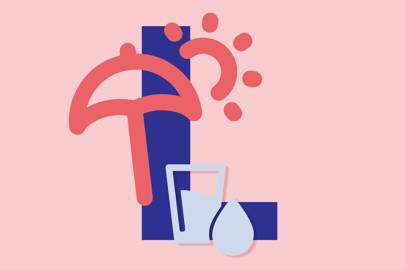 Prevention is better than a cure so opt for fewer cocktails of the vodka variety, try this recipe instead: less sun, daily SPF, an anti-oxidant rich diet, H2O (lots of it), thorough cleansing, and lovely hydrating, collagen-boosting skincare. Delish. First thing to know - they are NOT the same. At all. But both work on the principle of shocking your skin into recovery mode. Microdermabrasion machines blasts miniscule crystals over skin to polish the surface. It causes mild 'trauma' (in return, encouraging fresh, lovely skin to appear), but best avoided if you have sensitive skin. 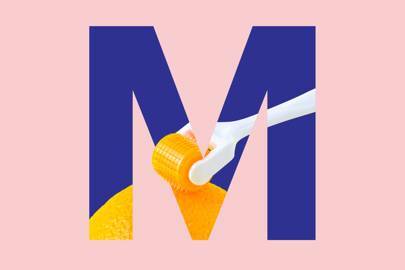 Microneedling is where a roller covered in teeny-tiny needles (we're talking mm's here) is worked over the skin, creating minuscule punctures, forcing recovery mode to kick in. This also allows skincare to travel deeper into the skin. Teresa Tarmey swears by it in her procedures: "It's great for skin rejuvenation, stimulating collagen production in a way you cannot get from other treatments and products". At-home kits are available, but first timers should try it with a professional first. 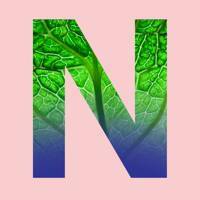 Calling an organic product natural is like calling a vegan a vegetarian - a BIG no-no. So, what's the difference? 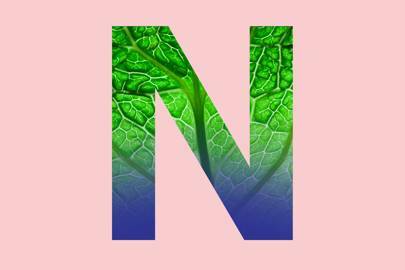 In a nutshell… 'Natural' means the ingredients aren't synthetic (so, if I product is 98% natural, look at the label to check the synthetic ingredients are down the list). 'Organic' means the stuff in it is organically farmed (something can be natural, but not organic). 'Vegan' means none of the ingredients are derived from animal products or by-products. 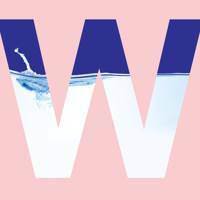 The idea of animal by-products in your skincare might sound super gross, but it includes beeswax and lanolin (taken from wool). Finally, 'cruelty-free' means there's been no animal testing in the process of production. 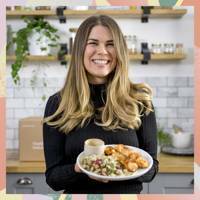 Brands can shout about being any-of-the-above, but as there's no legal definition for beauty product labelling the safest best is to read the ingredients list and look for industry-approved logos such as The Soil Association organic certification, The Vegan Society logo or Leaping Bunny cruelty-free logo. 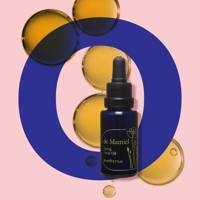 Using oil on oily skin might seem like a crazy idea, but, trust us, it's really not. 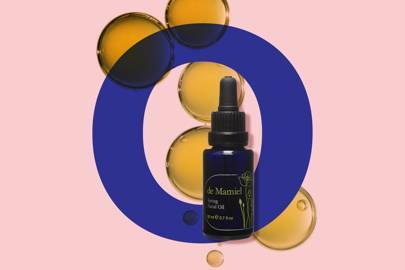 "People tend to be frightened to use oils as they think it will make their skin breakout, but with the appropriate oils blended correctly, they really can help to rebalance sebum production," says holistic facialist, Annee de Mamiel. In other words, adding oil into the mix can actually slow sebum production (the greasy stuff coming out of those pores), leading to a more balanced complexion. 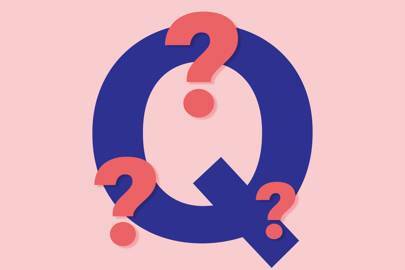 We've known about balancing the 'good bacteria' in our gut for years (with yoghurt companies making their millions in the process), but did you know there's also the same stuff on our skin? Known as the 'microbiome' (or 'microflora') it's a layer of miniscule micro-organisms living invisibly all over us, protecting and balancing what's underneath. Probiotics help to strengthen the microbiome, prebiotics help to feed it. 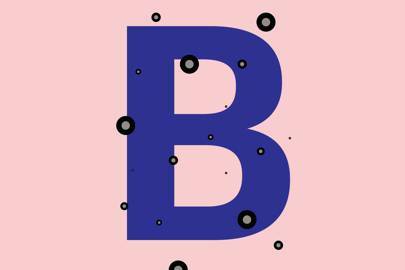 And a new era of beauty products containing this super sciency stuff promise to soothe sensitivity, strengthen skin and keep the microbiome happy. Understand your own skin is key, says Dr.Haushka Global Training Manager, Elaine Robinson. "You can achieve radiant smooth, calm and balanced skin by respecting your skin's unique and individual needs and its own finely-tuned regenerative processes." But sometimes it's OK to admit to defeat and seek help. If skin is flaring up and you're tried every DIY solution, it's worth calling in the skin experts. A dermatologist is a physician specialising in diseases and disorders of the skin, hair and nails. Find a local dermatologist registered with the or through the Always check practitioners are registered with the General Medical Council. 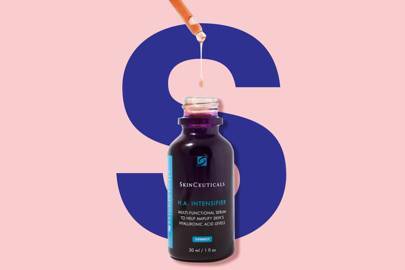 Otherwise known as Vitamin A, retinol is one of the best ways to tackle fine lines and wrinkles that sneak up on you in your 30s, by promoting skin renewal and collagen production. It can also help with irregular pigmentation and texture (those pesky pores). It can also, however, be quite aggressive causing irritation and sun sensitivity, so phase into your routine slowly and never skimp on the SPF. 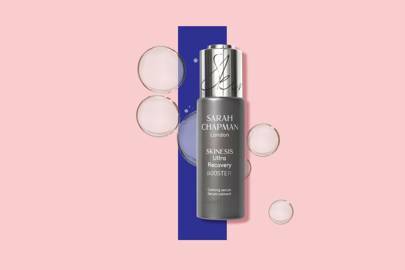 The fast track to skin treatment, serums are the beauty pro's skincare staple, replacing the trusty cream. Why? "Moisturising isn't essential unless you have true dry skin! ", says clinical facialist, Kate Kerr. "In fact, it can cause our natural hydration process to become dormant". 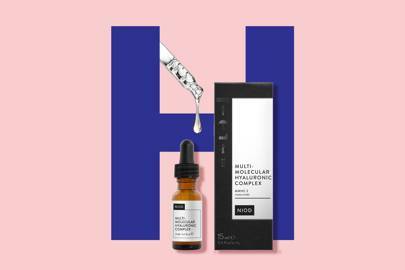 Serums - containing lots of active and skin-saving ingredients - can give you all the hydration it needs, with thinner, layer-able formulas that reach deeper layers of the skin. The names and ingredients can be mind-boggling (yep, The Ordinary, you heard us), so let us give you a helping hand here*. "Regular facials are just as important as going to the gym is to maintaining your body at its optimum level,' says Michelle Peck, Intraceuticals facialist to clients including Madonna, and Jennifer Lopez. And, oh, the possibilities! 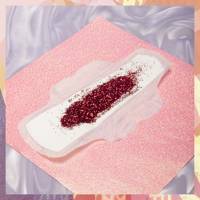 There's deep cleansing, lasers, blast pigmentation, lights (super soothing IPL, for example) and lifting massages (aiding lymphatic drainage), and don't get us started on extraction, the individual squeezing out every. damn. pore. If you can't make it to the spa, treat yourself to an at-home treat, every night. Massage in products as you apply with lots of small circular movements. It's an easy way to boost capillary circulation, helping to remove impurities and generate radiant, healthy skin. Aka: THE SUN! 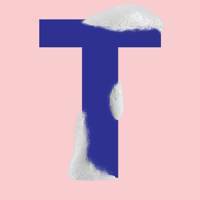 It might brighten up your day but it's all bad news for your skin (sorry, tan fans). 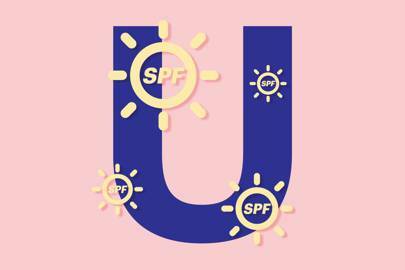 Being outside daily - even in cloudy, grey weather - means UVA (deep reaching rays, doing unseen ageing damage to cells underneath) and UVB (superficial, sun-burning rays) exposure is taking its toll on your skin. Skincare expert, Dr Perricone, says: “In addition to the risk of skin cancer, UV radiation (whether from the sun or from a tanning bed) can penetrate and change the structure of skin cells and also cause the following: loss of skin elasticity; thinner, more translucent-looking skin; wrinkles and dry, rough, leathery skin; broken capillaries on the face; freckles; liver spots on the face, back of hands, arms, chest and upper back.” The answer is simple: a daily SPF. Whether it's a facial suncream or even just in your makeup or skincare, they help prevent the rays from penetrating. Can someone do my back please? 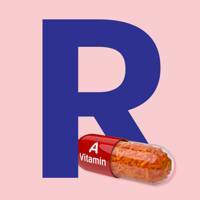 We all know vitamins are good for us, right? Good. 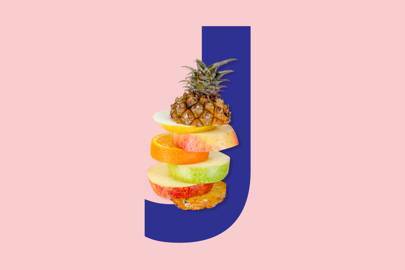 But applied topically, vitamins (or antioxidants) are crackerjacks for the skin, blocking out skin-damaging free radicals. 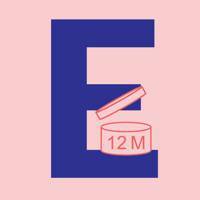 Use Vitamin E to defend and repair skin. 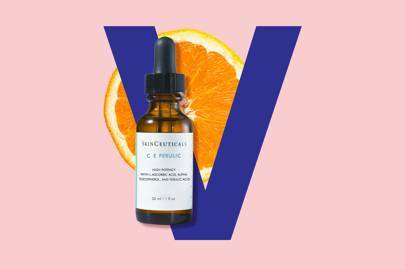 Vitamin C (sometimes listed as ascorbic acid) is a potent power-house to brighten skin and boost collagen production. 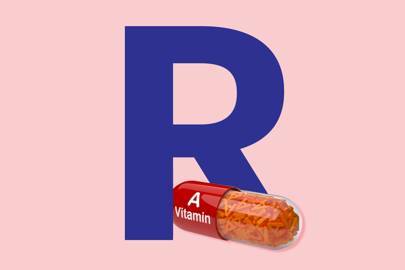 And Vitamin A is the active in retinol that that gets to work on lines and wrinkles. Look for them in serums and creams and thank us later. 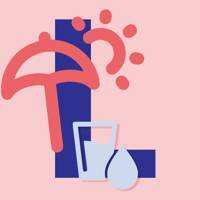 Drinking plenty of water is the simplest way to give skin a boost, hydrating from within and flushing out toxins. 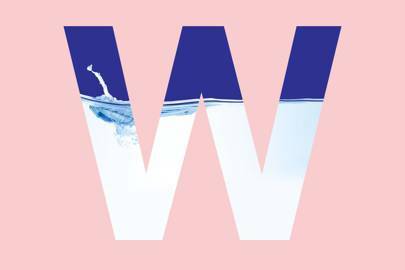 Piling on 17 hyaluronic-filled serums is great, but nothing beats the real deal: “The easiest way to keep your skin hydrated is to drink plenty of water; aim for at least a litre per day”, says Beverley England, National Education Manager for Origins. DOWN IT, DOWN IT. Ok, it’s a stretch. 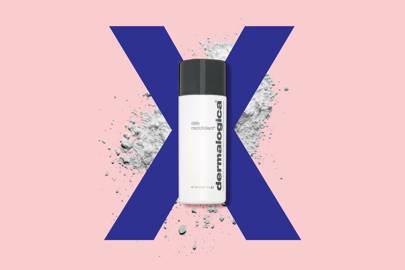 BUT, nonetheless, essential and regular exfoliating (with fruits acids or a scrub) is the sure-fire route to a brighter, smoother complexion. 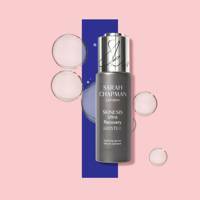 Facialist to the stars (we’re looking at you, Meghan Markle), Sarah Chapman, says: “It allows you to give your skin a really deep clean and remove the layer of dead skin cells that block your pores”. There is no fountain. Or time machine (yet). BUT with so many brilliant products, lots available for less than your M&S lunch, it is possible for all of us to hit the ‘pause’ button on the signs of ageing. 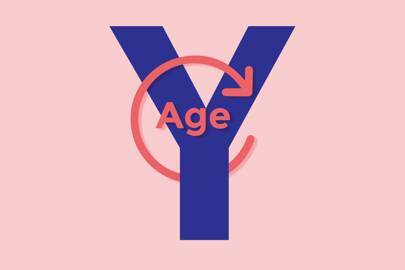 It’s not about ‘anti-ageing’ any more, but about caring for the skin we have, and getting the best out of it. 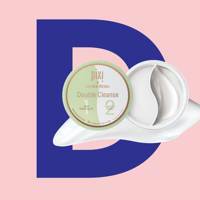 That daily SPF might seem like one step too far, but it will keep wrinkles at bay. And those vitamins and antioxidants will keep collagen levels up. Protected and properly looked-after skin is healthy skin, and healthy skin is happy skin, whatever your age. It’s not called ‘beauty sleep’ for nothing, people. You know how nothing cures a hangover like sleeping it off (and possibly a full fat Coke). And maybe a Domino’s)? 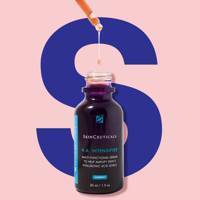 Well, your skin recovers – from a day battling stress, pollution and the sun – in the same way. 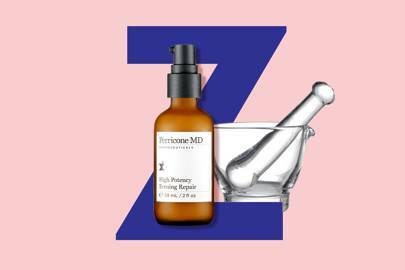 Dr Perricone (dermatologist and creator of Perricone MD skincare) agrees, explaining: “It’s during the hours of sleep that our cells rejuvenate, repairing damage of the previous day. It’s one of the best-kept anti-ageing secrets: a good night sleep”. Feed your skin with goodness-packed serums before bed time to aid overnight repair.